Do you have any idea that how to revert a crosstab query back to select query? If no then also need to worry as here in this tutorial we are going discuss about this particular topic only. So, that you can easily switch back to a "normal" query from a "crosstab query" with just one single click. But before that let's have a short knowledge on difference of crosstab and Normal (Select) query. Let's take an example of the result of crosstab query. Where each row represents a different city, and each column represents a different month. And result set of normal (select) query. In this type of query, months are no longer listed along the top as column headers. They get listed in their own column. 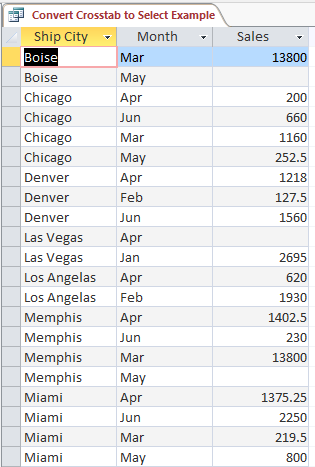 As a Result of this each city needs to be duplicated for each month of sales. So below we will convert the above crosstab query into this select query. 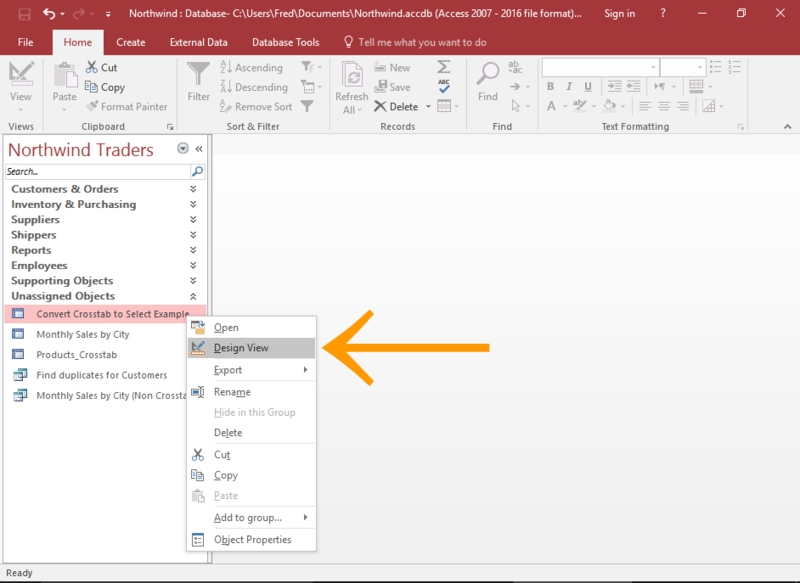 From the navigation pane, right click on the query and select Design View from the contextual menu. This will open the query in design view. Click Select from the Query Type group in the ribbon from the Design Tab. immediately converts the query into the select query. 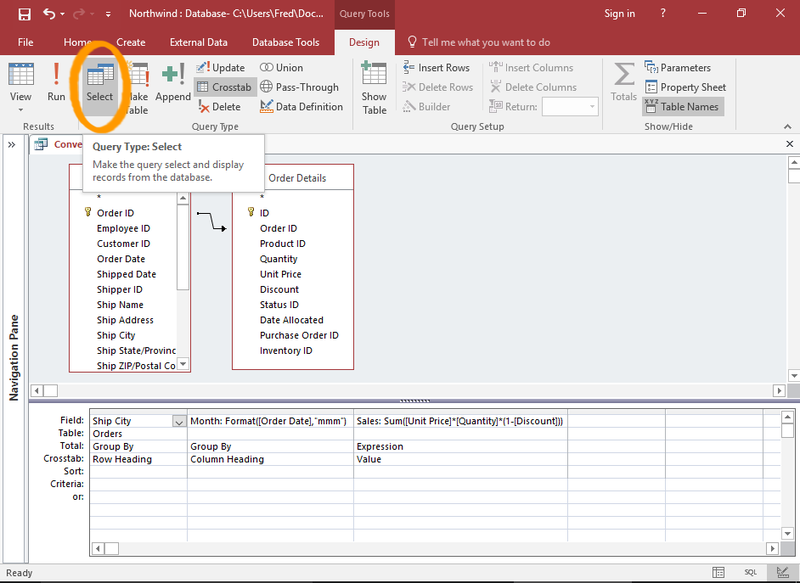 Or else, You can make right click anywhere in the top diagram pane and select Query Type > Select Query. After then you will see that the crosstab row has been removed from the bottom Criteria Pane. Now you can run this query as it is or can make changes if required. While running the query, you will observe that the column headers are now get listed vertically within a single columns.